Every week Denver Post theater critic John Moore hosts an audio (podcast) interview with members of the local and national theater community. This week, John talks with Anthony Holds. 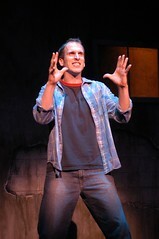 Holds is currently appearing in the Arvada Center’s production of The Full Monty.